Well, she's finally speaking out. On Tuesday, Hillary Clinton aimed to dispel the swirling concerns surrounding her email account while she served as Secretary of State, after days of silence on the issue. Hillary addressed the email controversy in a press conference, taking questions from reporters on why she used a private account, rather than an official government one. And some of her answers were pretty declarative, regardless of whether they actually tamp down the criticisms. For the uninitiated, here's the basic idea: throughout her tenure as Secretary of State, Hillary used a private email address to conduct professional affairs, contrary to the law for State Department officials now, and to the ideal expectations of the Department at the time. In fact, as noted by The Washington Post, a cable sent out under her name in 2011 warned State employees to "avoid conducting official Department business from your personal e-mail accounts," in light of increased security risks. In fact, it was the result of a hack that this whole mess erupted on her — when former Clinton administration aide Sidney Blumenthal's email account was hacked in 2013, it revealed that he'd been talking to Hillary through through her private account, under the domain clintonemail.com. Speaking before the assembled reporters, Clinton maintained that she'd used the single, private email account for reasons of "convenience," and granted that "it would have been better" to maintain more than one account for both private and public communications, as detailed by CNN. I opted for convenience to use my personal email account, which was allowed by the State Department, because I thought it would be easier to carry just one device for my work and for my personal emails instead of two. Looking back, it would have been better if I'd simply used a second email account and carried a second phone. That last part falls a little awkwardly flat, sad to say — you don't need a second phone to have two email accounts, though that could be a slip of the tongue or mind as much as anything. But regardless, she was resolute that she didn't do anything terribly wrong, and that she's since gone "above and beyond" to placate her critics. I trust the American people to make their decisions about political and public matters and I feel like I've taken unprecedented steps for these emails to be in the public domain. I went above and beyond what I was requested to do. She's entirely correct that she did open herself up to some scrutiny. She ultimately did turn over thousands of pages of emails to the State Department in December, but that's given rise to just another layer of accusation and criticism — she gave them thousands of literal pages, all printed out. All in all, 50,000 or so of them, making the task of finding out what's actually in them a rather epic chore. It's also true that not all of the emails she sent and received from the account made it into those pages, however, a fact which she discussed Tuesday. In fact, she had about 30,000 emails deleted entirely, as noted in the Los Angeles Times, claiming them as strictly personal and not work-related. This may be true, or it may not be — there's no telling at this juncture, so what you come away believing will likely be informed by your opinion of Hillary herself, or your political persuasions. 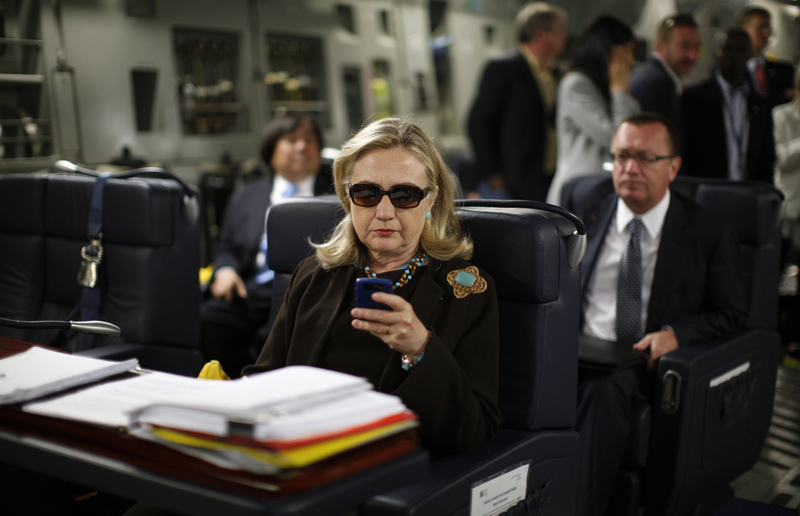 I chose not to keep my private, personal emails. No one wants their personal e-mails made public. It'll be hugely interesting to see where this story goes next, and whether the conservative frenzy to turn this into a major scandal really comes to fruition. As it stands now, it kinda seems like it won't — by and large, people don't seem to care much about this story, and with the 2016 election still well over a year-and-a-half away, there's a real chance this could fade into the recesses of history long before campaign season really gets in full swing.